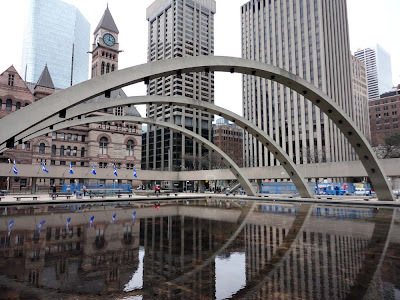 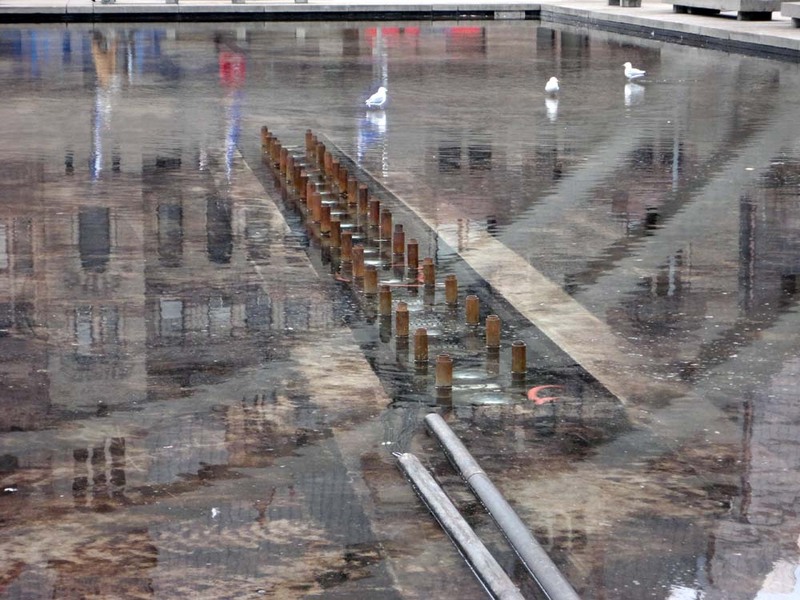 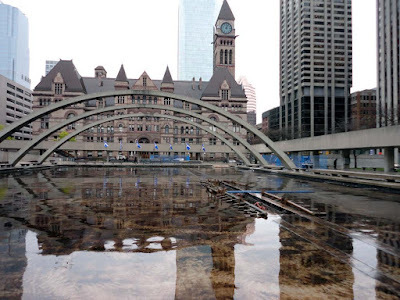 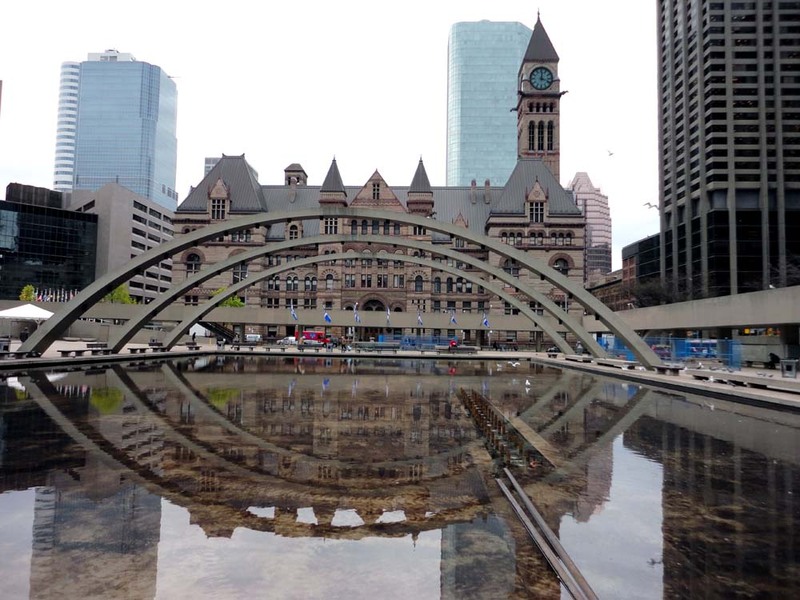 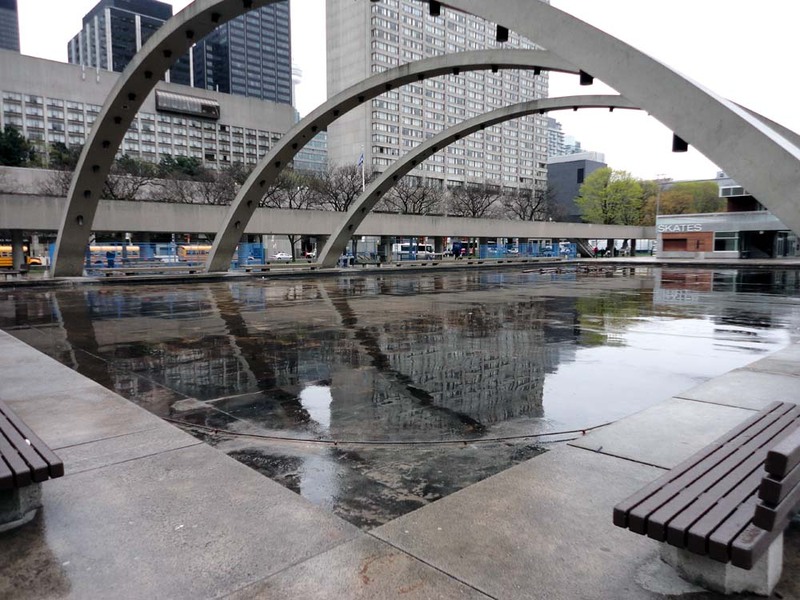 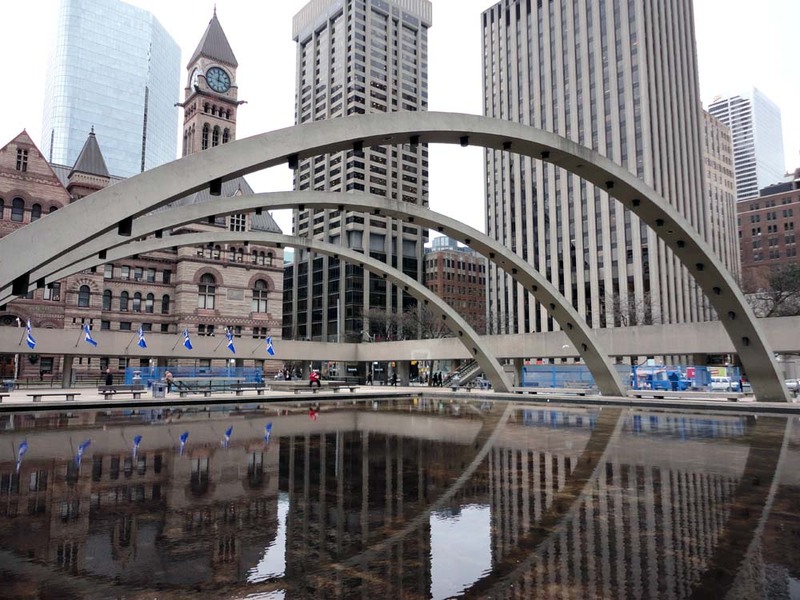 Under Freedom Arches in Nathan Phillips Square is the reflecting pool, which right now is an empty concrete tub. 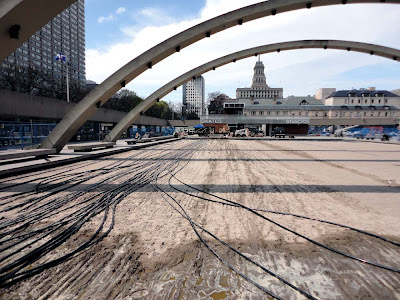 Along with the current reconstruction of the square the City is working getting the pool ready for late spring and summer. 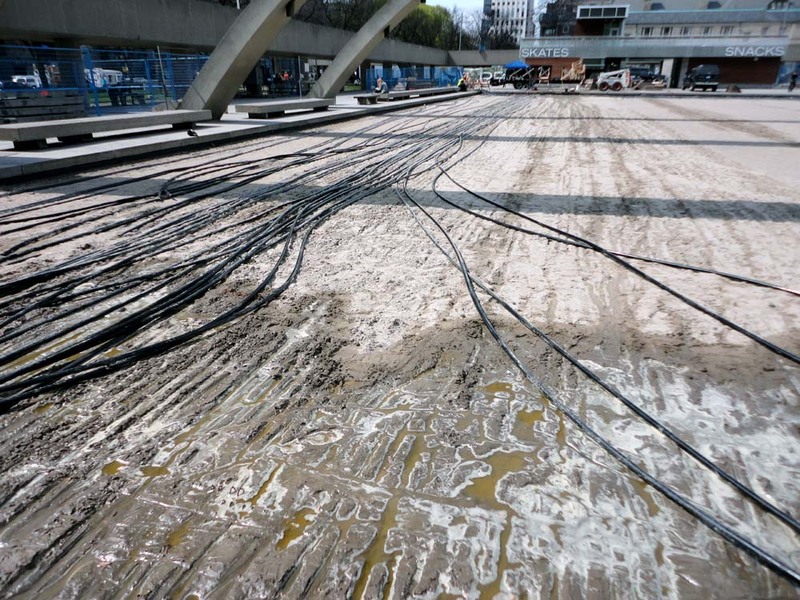 The pool itself doubles as a skating rink in winter and when they had an issue with the regular piping, just before the previous skating season, a temporary hose system covered in sand was used to distribute the freezing stuff. 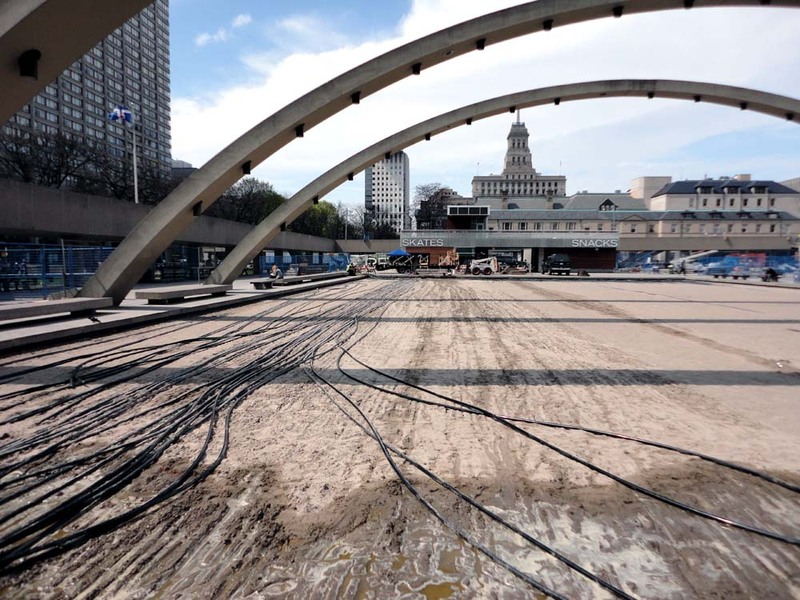 Well the ice has melted, the sand and hoses have been removed and now they are getting the fountain piping installed. 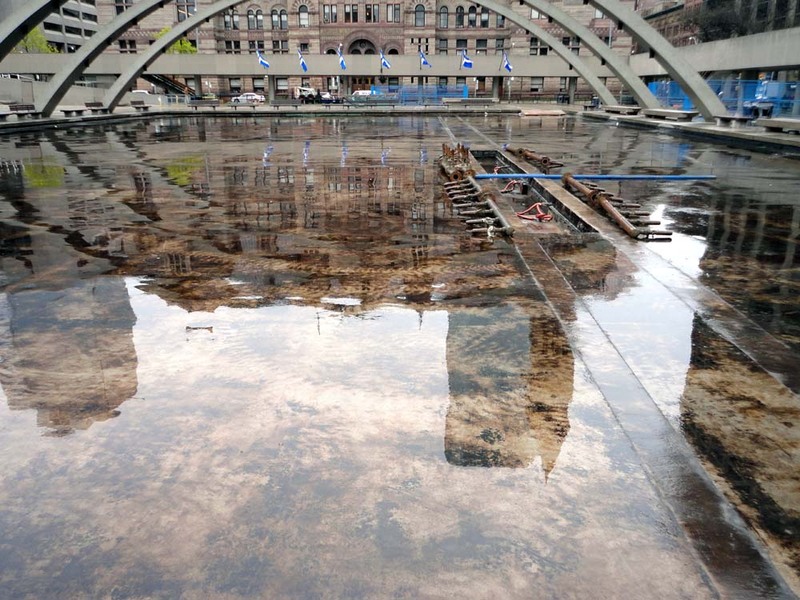 The pond has since been filled with water. We are just waiting for the fountain to start jetting water into the air. 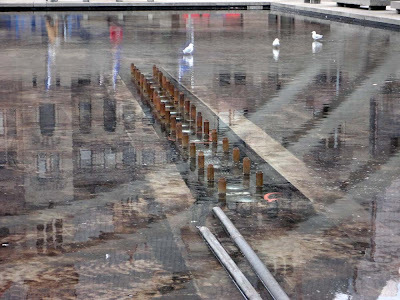 See more after the jump.